Bluetooth systems are becoming standard in everyday cars, but let’s face it – not all of them meet our needs. The Mobile Home from Beanco Technology is just the solution we need. As long as your car has a Bluetooth-ready stereo or system, this device will work perfectly. It replaces controls on the steering wheel whether you have them or not. Just attach the device to your visor with the equipped clip and click the large button. That will sync the device with your iPhone and start Siri. You then just speak as if you were talking on your iPhone. An example may be: “Siri, play…” Then that song will start playing. Beanco Technology did a great job with this product. 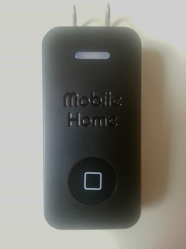 It has an MSRP of $79 and if you really don’t want a ticket using your phone while driving, or don’t have a sophisticated Bluetooth system, the Mobile Home is perfect.